We specialize in day trips to our local waters. If you are skiing at the resorts, here on business, in town to see family, or just want to go out fishing with us, we can either meet you or pick you up to go fishing. Lunch is included with a full day of fishing. Flies, licenses, rentals and gratuity are not included in the price of the trip. 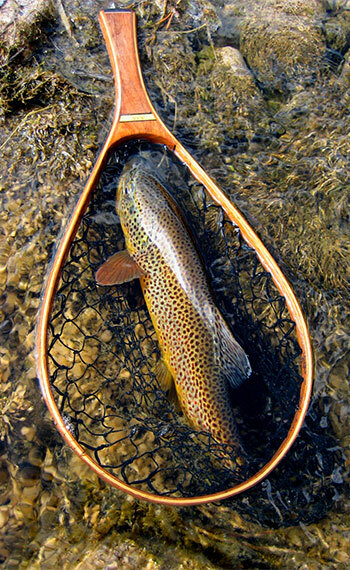 Fly-fishing Utah offers a unique experience for those new to fly-fishing or to those who have never explored our diverse wild trout streams: towering snow covered peaks, red rock canyons are just a sampling of the wide variety of topography our scenic Utah fisheries flow through. Western Rivers Flyfisher couldn't be better situated for fishing some of the states best waters allowing us the opportunity to provide a wide variety of fly-fishing experiences. 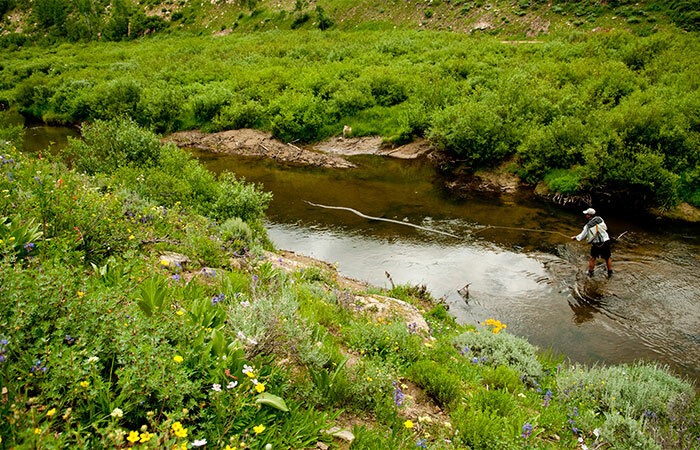 Just a short distance from Western Rivers Flyfisher lies one of the west’s more prolific wild trout streams, the Provo River. Of those we have the opportunity to guide and fish it is one of the states and west's crown jewels. 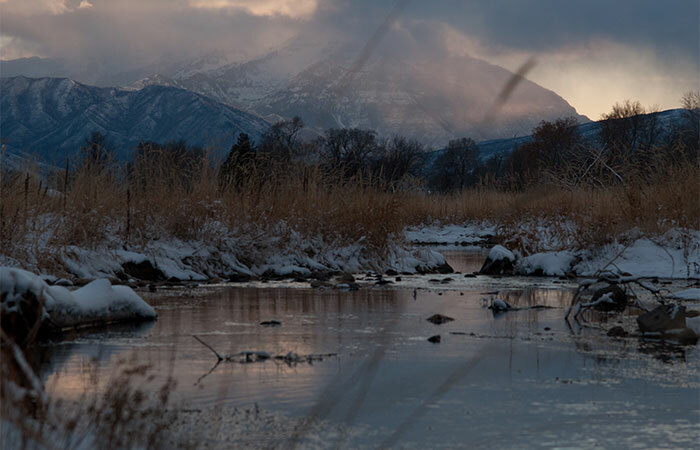 Its prolific nature, impressive brown trout and hatches have been well documented over time but the Provo River isn't our only trout stream that offers excellenty fly-fishing that lies just a short distance from our door step. 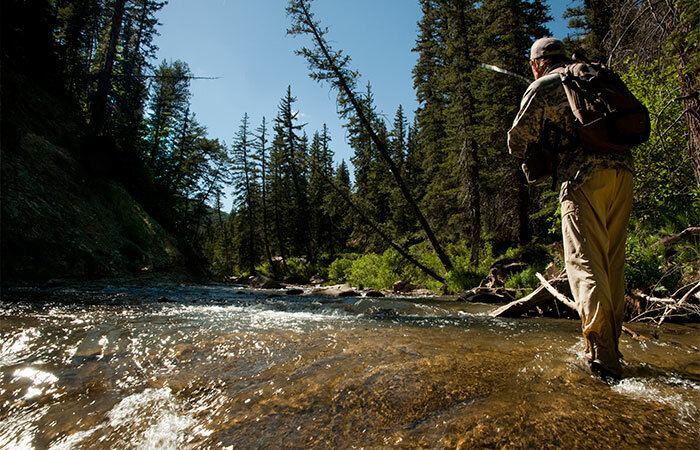 Depending on the time of year, if you are willing to sacrifice a little drive time for some solitude, we’ll take you to streams just off the beaten path that provide excellent fly fishing in their own unique way. It makes for a long day, but for those who recognize the benefits of these unique fisheries, you'll be rewarded with very memorable fly-fishing experience. At Western Rivers Flyfisher we are fortunate to have such an array of quality waters to share with you regardless of your experience. Although catching fish is a priority, which we understand that’s why we will take the time to help you get the most out of your day while exploring a range of fly-fishing techniques to do so, and immerse you in the unique qualities that our fisheries have. Our goal is to not only help you get the most out of your time on the water, but to leave you with a little something for the next time you wet a line. Come join one of our experienced and enthusiastic guides and see why we believe Utah has some of the west’s very best trout streams. Many of the fly fishing guide trips these days are run more like a boot camp than a fishing vacation. For example, a full day trip means precisely eight hours of fishing and a half day trip will get you four hours of fishing. Fortunately for you, that’s just not our style. We like to think that we are on your trip, not some predetermined schedule that doesn’t necessarily match the hatch. We are more interested in teaching the many diverse methods of fly fishing, understanding water hydraulics (why fish hold where they do), aquatic entomology, different floral and fauna, fly casting, stream-side etiquette, and how to really enjoy all of the little things that make a guided trip so enjoyable.